1) Know the facts: You are not alone in deciding to work after a cancer diagnosis. 2) Think carefully about whether or not you want to disclose your diagnosis at work. Deciding whether to tell your employer and/or co-workers is a very personal decision and requires weighing several factors. You have an insider’s view on how your office ticks, who your allies are and what the culture is like, so trust your instincts. Generally, you are not obligated to disclose any information about your health (though there are some exceptions). If you do decide to tell, talk to those you’re most comfortable with or who will be most useful in creating a workable solution for you (possibly your supervisor and/or HR). If you think you may need to request a reasonable accommodation (more on that below), you might have to disclose a medical condition-although not necessarily an exact diagnosis. Know your company’s policies on medical conditions, flex time, telecommuting, etc. before you disclose your cancer history. 3) Talk to your healthcare team about side effects. Having a conversation with your healthcare team about how your side effects and treatment schedule might affect you on the job can help you make informed decisions about any work accommodations you might need, such as modifying your schedule, making changes to your physical work space, etc. The Americans with Disabilities Act (ADA) requires certain employers (private employers with 15 or more employees or state/local government of any size) to make "reasonable accommodations" to allow eligible employees to continue to perform the essential functions of their job. Specifically, you must be qualified for your specific role and you must have a disability under the ADA definition of disability (for more on what this means, click here ). You may have to disclose some information about your medical condition to your employer (to show you’re entitled to the requested reasonable accommodation) but that doesn’t necessarily mean you have to share all the specifics, it would just be enough to show you qualify. Before approaching your employer, consult with a legal service organization to understand your options so you can make an informed decision. Learn more about health insurance laws and job-protected leave laws so you are prepared for anything that might come up. Try maintaining a work diary with notes on the way you feel throughout the day/week. Reviewing it can help you to figure out how your side effects might be impacting your work and then ways to address them. Data shows that only 2% of people multi-task effectively, and we know side effects from treatment can make that even more challenging. Even though we live in a world that seems to constantly demand we do more than one thing at a time, the key to staying focused and getting things done is to write a to do list, prioritize it and then accomplish each task one by one. Carry one notebook with you at all times that contains important notes, lists and priorities for work and home so you never find yourself with the wrong pad at the wrong time (a key strategy if you’re experiencing chemo-brain). Turn off phone, email, texts, instant messages, etc. when you are trying to power through items on your to do list. For some people, it even helps to set up meetings with themselves so that their supervisor and coworkers can see they are busy and therefore not expect immediate responses. Learn to delegate effectively. Look over your workload and determine what requires your personal attention and what can be distributed to others. You can’t do everything alone! Practice stress-reduction techniques. Figure out the key to your well-being and avoid letting stress get the best of you. 5) Learn to set professional boundaries. Knowing your limits and how to communicate them will help you be a better employee. Being your most effective at work means knowing how and when to decline requests, so that you’re not overwhelmed with extra work. Craft language that feels natural to you and communicate the "no" in a professional and team-oriented way. 6) Let others know how they can help. If you do decide to disclose your diagnosis, your manager and co-workers can potentially be a huge source of support, but they won’t know the best way to support without your guidance. Be clear about any limitations (or lack thereof) so you can address them and move forward. 7) Understand that you may be seen as "The Person with Cancer" in the office for longer than you’d like. Try not to get too frustrated or take it personally if a co-worker or boss makes an awkward or insensitive comment - it might take time to recast yourself in the eyes of your workplace. Remember, the more you focus on work and keep the conversation moving the more everyone else will follow your lead which will help reset their view of you. Use "the Swivel" to take a cancer-related comment (e.g. My uncle had cancer, too) and spin it back to work (e.g. I am sure that must have been quite difficult. Also, do you have a few minutes to talk about our project that is due next week?). It’s important to acknowledge your colleague’s comment, but then the swivel the conversation back to a place where you feel comfortable. 8) Be mindful of what you say online. You may think you are safe posting on your social networks about your cancer history, but with privacy settings changing every day, you have to protect yourself. Whatever you say online becomes part of your online footprint. Be aware that employers may be able to access what you post, so it’s important to consider the effects of your online behavior. If your job doesn’t seem like a good fit anymore or doesn’t fulfill you in the same way, you’re not alone! Many cancer patients and survivors say that their experience has served as a catalyst for personal and professional change in their lives. If you’re feeling this way, you may want to take some time to weigh your options and research different career possibilities before taking the leap and leaving your current workplace. If you’re hesitant to get back in the job market immediately, try volunteering at an organization you’re interested in, "shadow" someone in your coveted career or set up a few informational interviews. 10) Contact Cancer and Careers. 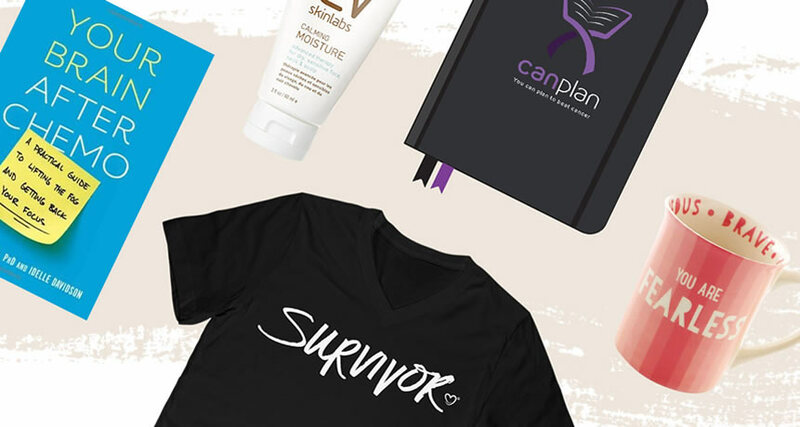 Cancer and Careers, founded in 2001, is a national non-profit that empowers and educates people with cancer to thrive in their workplaces by providing expert advice, interactive tools and educational events—all free-of-charge. Through a comprehensive website, publication library in English and Spanish, resume review services, career coaching, educational seminars and more, CAC strives to eliminate fear and uncertainty for survivors, whether they currently employed or looking for work. For more information, please visit CancerAndCareers.org. Do you have other tips for working during or after treatment? We'd love to hear them - comment below! Cancer and Careers empowers and educates people with cancer to thrive in their workplace by providing expert advice, interactive tools and educational events. Through a comprehensive website, free publications, career coaching, and a series of educational seminars for employees with cancer and their healthcare providers and coworkers, Cancer and Careers strives to eliminate fear and uncertainty for working people with cancer. Cancerandcareers.org informs more than 365,000 visitors per year, providing essential tools and information for employees with cancer. Should You Go Back To Work After a Cancer Diagnosis?